Most of you know that I love direct mail marketing. 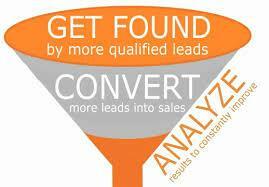 In fact, it has always been my number one source of leads. But with so much competition out there, the pressure is even greater today than before to find new ways to stand out in the crowded field. What does that mean for you? It means you need to be ready to change things up a bit. There is a big distinction between these two things. Outbound marketing would be things you do to attract motivated sellers such as direct mail, hanging up bandit signs, and cold calling expired listings. 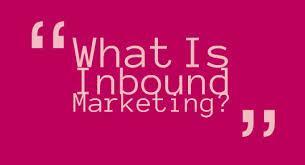 Outbound marketing are all of the things that require your participation on an ongoing basis. Inbound marketing are things that work for you even when you are sleeping like your lead generating website, ongoing Craig’s List ads, and YouTube. Now all of these require upfront work, and in some cases some maintenance like Craig’s List. Even though I’ve always had a website, it was there for credibility for the most part. I just wasn’t able to turn it into a lead generating machine until now. In today’s market, you need a website that will work for you day and night, 24/7. Make no mistake; you still need a company website or a section on your motivated seller website for credibility that will show the world your company is “the one” they should choose. We are all familiar with those late night infomercials that folks watch when they can’t sleep in the middle of the night. I want you to think for just a minute about those folks that are facing some type of life event that is keeping them up at night. Maybe it’s the loss of a job; a divorce; a pending foreclosure or something else entirely. There can be a million reasons someone needs to sell quickly. The first place they are going to look for help is online. That’s the big question. If a motivated seller crawls out of bed late at night because the crushing weight of their problem makes it impossible to sleep, when they turn on their computer and begin to search for help, will they find you? Will they find your website? Ask yourself this; how many sleepless nights have you had before because of a problem you didn’t have a solution for? When someone has a house they need to sell immediately because life has thrown them a curveball, there is a very good chance they will call the first person they find. If you don’t have a motivated seller website you won’t be the person that gets that call. Let’s face it; most of us aren’t web designers and copy writers, and even if we had those skills chances are we don’t have the time in our real estate business to take this on. I needed to solve this big gaping hole in my business; one that was preventing me from having the 1st piece of the inbound marketing strategy which was a website that got results. My solution was using the Oncarrot websites in my business. I love this product! For a very affordable monthly fee, you can get one or several websites for your business that are pretty much “done for you” sites. If you are a rehabber, maybe you want a motivated seller site and another site for selling your properties when they are finished (this should not be the same site). If you are a rent to own person you will need more than one site too. I would encourage you to take a look for yourself. The first part of this inbound marketing piece of the puzzle is having a lead generation website that works for you 24/7 even when you aren’t around. Two formidable inbound marketing strategies; Craig’s List and YouTube. We are going to dive into how to effectively use both Craig’s List and YouTube to generate leads for your business (and no I’m not talking about just posting an ad here and there. Craig’s List is a powerful tool when you know the secret to how to use it). I checked out Oncarrot.com and it sounds pretty good. Thanks for that recommendation! Hey Terry – I love it. In fact I am an affiliate for it now. It is the first out of the box website I have seen that is really a solid site. It is built on a WordPress platform so I can work on it. I think you would be really happy with the sites. A lot of folks have multiple sites; motivated seller, rental sites etc. I sent you an email about this. Just checking to see if you got it. Hit me up on email if you didn’t. I love this website product. I have actually become an affiliate for them. A lot of my students us Oncarrot too.